ANN ARBOR, Mich. - It's been a strangely quiet offseason for Jim Harbaugh and the Michigan football team after the most disappointing season of his tenure. 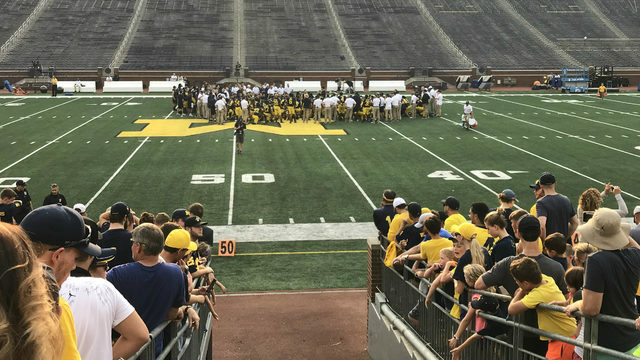 Michigan dropped five games after a promising 4-0 start, and the struggles have been reflected in recruiting. After signing top-10 classes in each of his first two full years, Harbaugh settled for the No. 21 class in 2018, and this year's class will likely land outside the top 10, as well. But Michigan's roster is still loaded with talent, largely thanks to an excellent 2017 recruiting class. A few of the top players from that class made an impact as true freshmen last season, but they will be relied on even more as sophomores. Cesar Ruiz and Tarik Black are two of the best examples. Black was the team's best receiver early in the year before a foot injury ended his freshman season. Ruiz took over on the interior offensive line and held his own against Big Ten pass rushers. 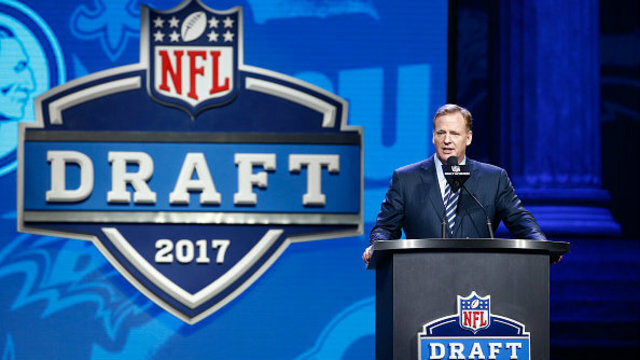 Here are five of their classmates who could enjoy similar break-out seasons in 2018. Cornerback is a difficult position for young players, but Ambry Thomas played exceptionally well when he got opportunities as a freshman. His defensive snaps might be limited at times throughout the year because Michigan's starting cornerbacks are the strength of the team. 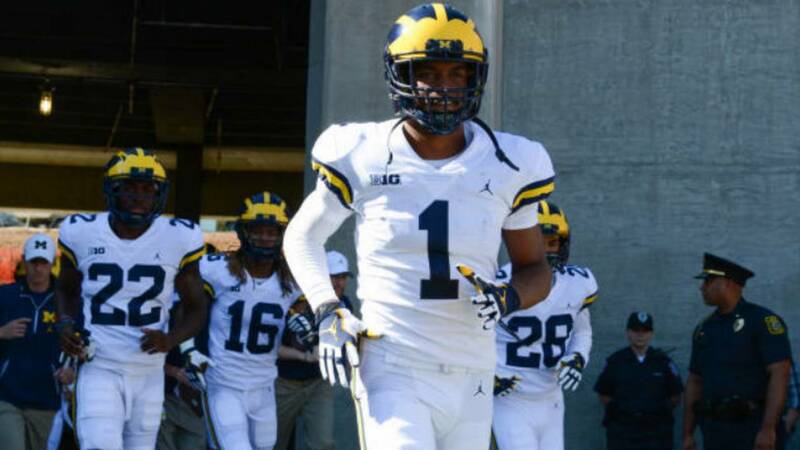 Lavert Hill and David Long are two of the best cover corners in the country, so Thomas will start the season as the No. 3 option. But Thomas' impact isn't limited to defense. He could also be an electric returner for Michigan on special teams. He returned 20 kicks for an average of 19.8 yards, including a 43-yarder than sparked the offense against Penn State. Thomas was the No. 2 player in the state of Michigan last year and the No. 12 cornerback recruit in the country out of Martin Luther King High School. He played in all 13 games last season, but should be more of a difference-maker as a sophomore. Aubrey Solomon was arguably a break-out player last season, but he has the talent to be a much bigger part of the defense. Solomon quietly recorded 18 tackles and two tackles for loss last season. He played sporadically but appeared in all 13 games. Along with Donovan Peoples-Jones, Solomon was the only other five-star prospect in Michigan's 2017 class. He committed to the Wolverines out of Leesburg, Georgia, before de-committing and then re-committing for good. 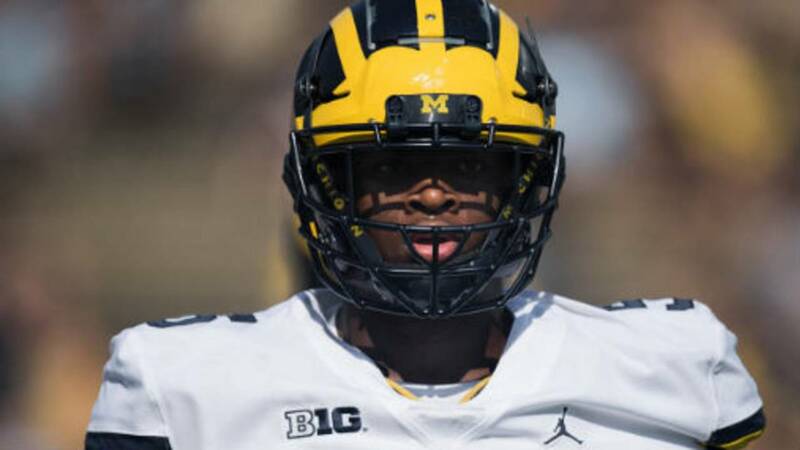 Maurice Hurst left big shoes to fill in the middle of Michigan's defensive line, and Solomon will be asked to pick up some of the slack. He projects as a solid pass rusher who can create problems in the backfield, and that's exactly what Michigan needs up the middle. There's nothing Michigan needs more than a break-out offensive lineman, as the unit has underperformed for the better part of a decade. But don't tell that to Chuck Filiaga. 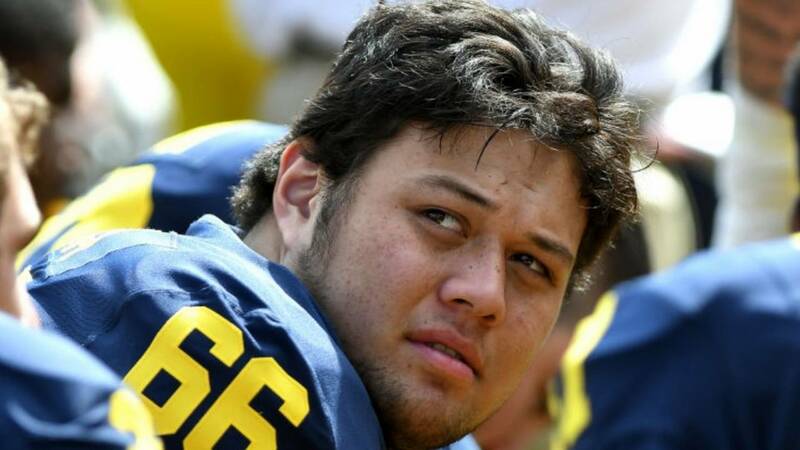 The sophomore came out publicly this offseason to say he's tired of everyone blaming the offensive line for Michigan's struggles. With only two true starters returning, he'll have a chance to back up his words. Michigan struggled to run the football in big games last season and allowed too many men in the backfield. The Wolverines were 114th in the country with 36 sacks allowed and 101st with 83 tackles for loss allowed. Ruiz and third-year starter Ben Bredeson figure to have starting spots locked down on the interior of the offensive line, but the other three battles are far from over. Michael Onwenu got plenty of time at right guard last year, but both tackle spots should be somewhat up for grabs. If Filiaga -- a four-star prospect in 2017 and the No. 13 offensive tackle recruit in the nation -- can earn significant playing time, it would be a big boost for Michigan. Michigan signed four top-200 wide receivers in the 2017 class, but only two of them made major impacts as true freshmen. Black, again, was the teams' top receiver before going down with injury, and Donovan Peoples-Jones made 22 catches for 277 yards. Collins played sparingly, appearing in just four games and making three catches for 27 yards. But at 6-foot-4 with good speed and the ability to win a jump ball, he could be a perfect fit with new quarterback Shea Patterson. 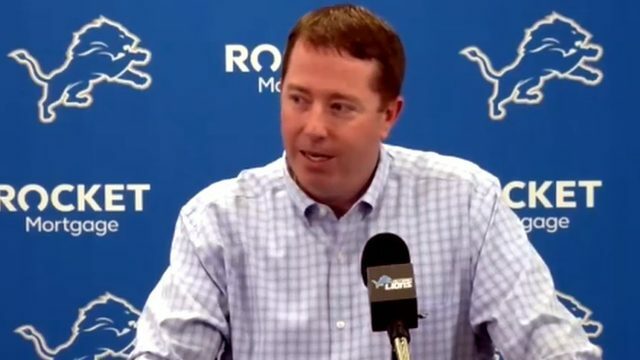 Patterson has a unique ability to extend plays with his feet, and Collins could be a valuable target in that scenario. 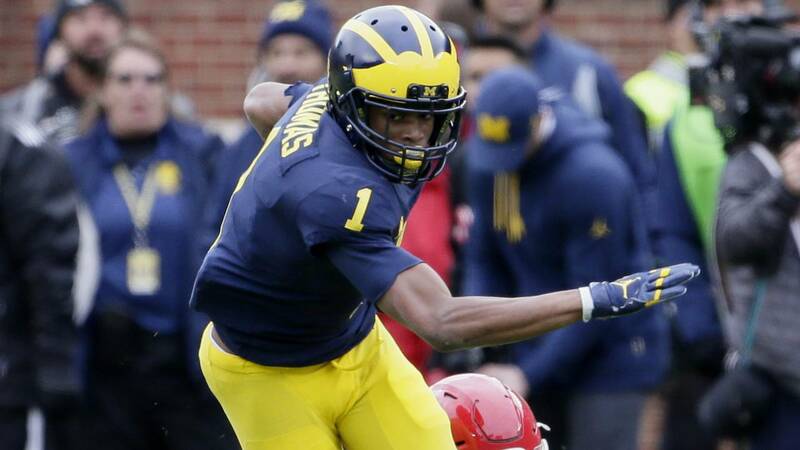 Michigan badly needed a receiver who could win a one-on-one matchup last season, and Collins is that guy. A four-star and the No. 23 receiver in the country, Collins has plenty of raw talent. If Michigan has a solution to its major quarterback woes, the passing game should be more proficient in 2018, and Collins will benefit. Michigan's offensive line woes are well-documented above, and another unexpected source of help could be James Hudson. A four-star defensive line recruit out of high school, Hudson was converted to the other side of the ball last year, and coaches have raved about his transition. Michigan is loaded on the defensive line, but the offensive line is a much different story, so a player with Hudson's talent on both sides is more valuable protecting the quarterback. Hudson is certainly big enough to play on the offensive line, and he has the quick feet of a pass rusher. But learning to be an offensive lineman at the Big Ten level takes time, and Hudson will certainly go through growing pains. If he's being considered for playing time just one year after switching to the position, he's obviously got a lot of raw talent. Hudson probably has a higher ceiling than some of the other players fighting for playing time along the line. The best-case scenario for Michigan is that he realizes that talent in time to make an impact this season. 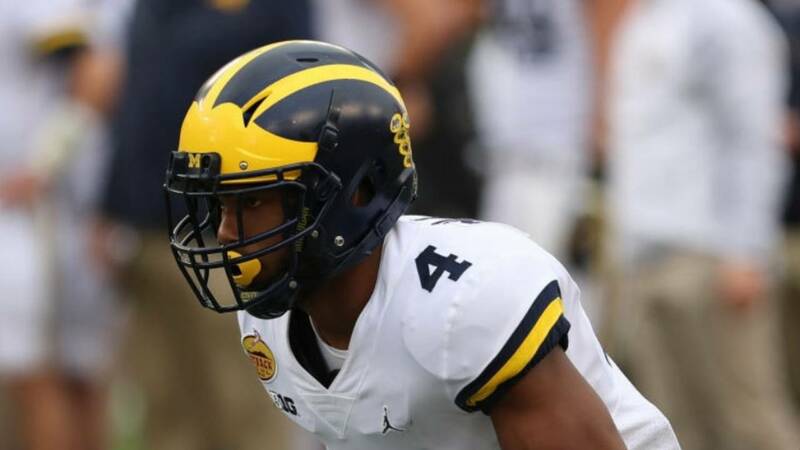 The players on this list are in two distinct categories: Those who play at positions of strength for Michigan and those who are sorely needed to fill holes. 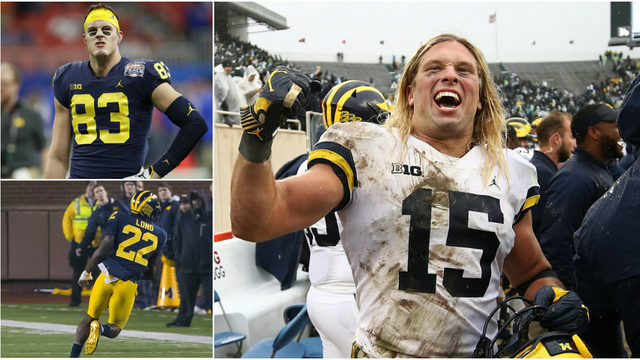 Thomas and Solomon play in perhaps the two strongest position groups on Michigan's roster, while Filiaga, Collins and Hudson have less competition. 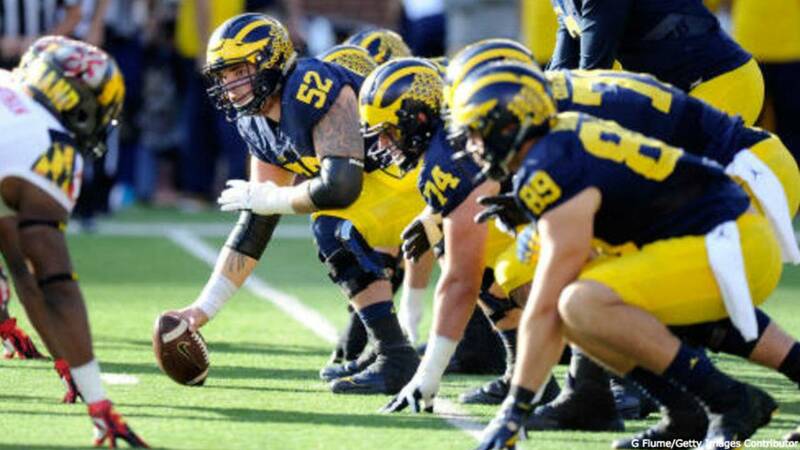 All five players will be important pieces this year, but break-outs along the offensive line would be particularly helpful for a Wolverines offense that struggled last season.